chapter has been added on financing the green economy which explores changes which are needed to the financial sector in the wake of the economic crisis. At the core of the book, the key question remains: is more economic growth the solution to the world's problems? Will it deliver prosperity and well-being for a global population projected to reach nine billion? Tim Jackson makes the compelling case that it won't.In the advanced economies there continues to be mounting evidence that ever-increasing consumption adds little to human happiness and may even impede it. And it is abundantly clear that the ecosystems that sustain our economies are collapsing under the impacts of rising consumption. To protect the world's natural resources and for the future well-being of the human race, we will have to devise a path to prosperity that does not rely on continued growth. 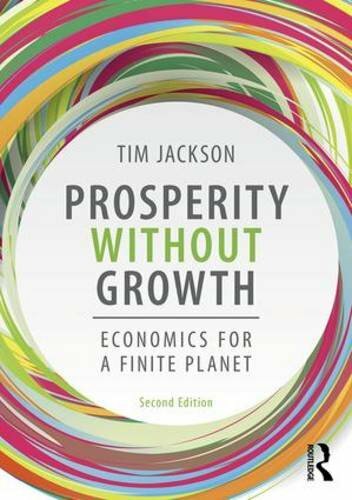 In the second edition of Prosperity Without Growth, Tim Jackson provides a clear credible vision of how human society can flourish within the ecological limits of a finite planet. Tim Jacksonnbsp;is Principal Lecturer at the London College of Fashion specialising in luxury brand management, fashion buying and marketing. Tim had previously worked in fashion retail management and buying for a number of UK brands including Burton, Jaeger, Dash and Harrods. He consults on fashion branding and writes as both a journalist and academic researcher on fashion business.